Happy New Year! So, finally, my first post for 2017 going to be published. 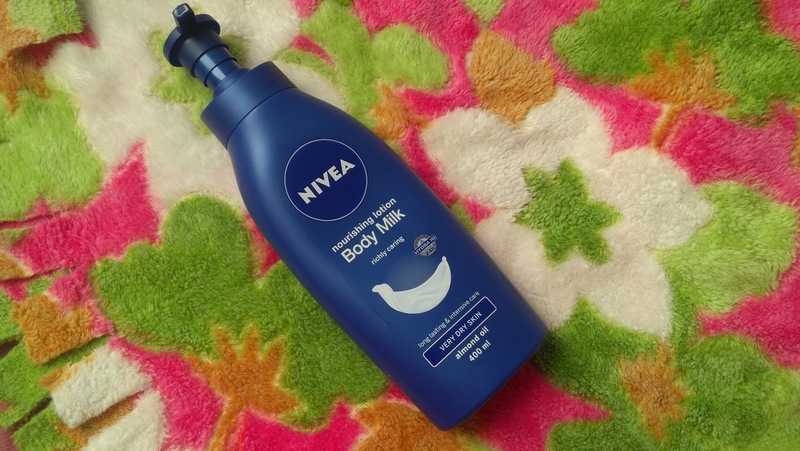 Today I am reviewing my recent most favorite product that is Nivea Nourishing Lotion Body Milk I bought this stuff just before winter and I am using it every day. This rich and creamy formula with Hydra IQ and Natural Minerals effectively moisturizes to perceptibly reduce the roughness of your dry skin. The formula with Almond oil softens the skin give your very dry skin intensive care. Use regularly to support a natural 24H+ moisture. I love this body lotion packaging. 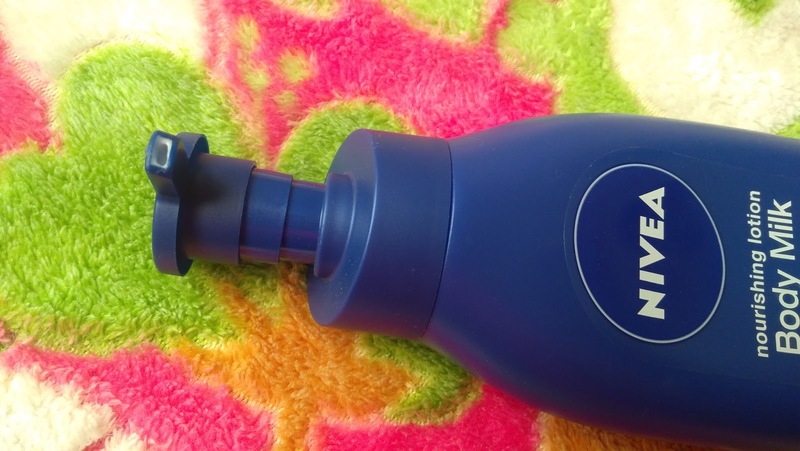 It comes in navy blue color pump dispenser plastic bottle. The pump dispenser always dispenses the right amount of product in a just single pump. This kind of packaging which is very easy to use and hygienic. The lotion is white in color with a nice, mild and fresh fragrance. 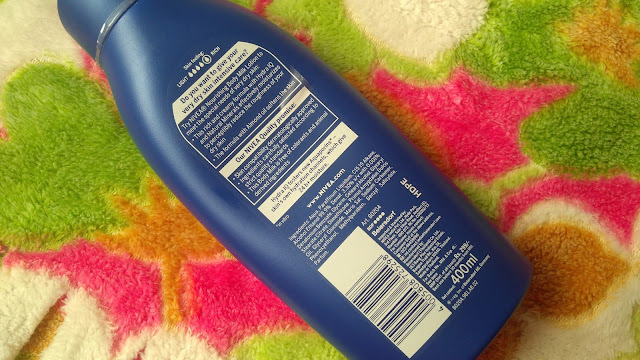 The lotion is lightweight and has a medium consistency which is neither too thick nor too runny. As for the texture, it is not greasy at all, but still, has that moisture and richness that is just perfect for my dry skin. 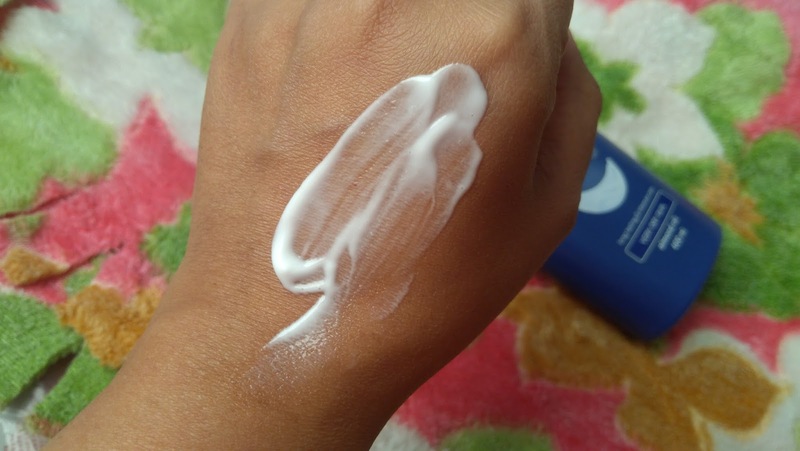 The lotion itself is very light and moisturizing and it doesn’t make my skin feel oily. It absorbs easily and leaves skin feeling smooth. Absolutely love this Body Lotion. Left my skin feeling smooth refreshed & soft.Has a lovely smell & really hydrates my skin. This body lotion is perfect for after shower use or before bed. My dry patches are gone now and I'm thankful for that. It is perfect for winters. 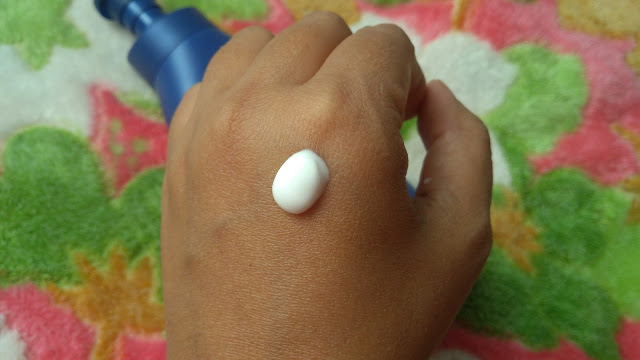 Overall, this product designed for very dry skin and has the added inclusion of Hydra IQ to leave your skin feeling unbelievably smooth and moisturize. It absorbs almost instantly without leaving me feeling greasy but it still makes my skin feel moisturized for a long time. I love this formula which is just so lovely and your skin feels instantly smooth after application. However, this is a good product for dry or very dry skin in winters. And I will also continue to purchase and use this product in my daily beauty regimen. I would recommend this for anyone who has dry or very dry skin.